Anti-Fungal Drug Interactions - YeastInfection.Org by Eric Bakker N.D.
A lesser-known fact is that the anti-fungal drugs the doctor prescribes to you may well interact with other drugs or supplements, and here are the most common drug interactions I have discovered. There will be more clashes with azole drugs and certain drugs prescribed by your doctor, but these are probably the most common ones. Ask your local chemist (pharmacist) or go to your beloved Dr. Google if you are unsure. But should you use a drug or a natural medicine, what choice should you or your practitioner make? Is your practitioner managing your drug medications appropriately? I have discovered that a considerable number of people have mild to severe adverse drug reactions. Having clarity when a patient really does need a pharmaceutical medication and when their medication is inappropriate is vital knowledge that any clinician must have, whether they are a natural medicine or conventional medicine practitioner. Is Pau D’Arco Good for Candida? 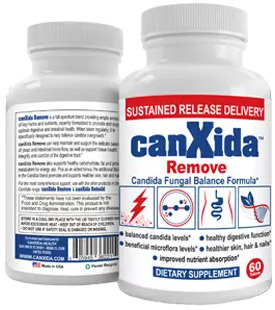 Is Yoga Beneficial For Candida? Be sure to enquire if you take a drug if there is a natural alternative, and if not then enquire if there are any side effects to be expected and any interactions with the drug and any natural medicines. And thirdly as I have just mentioned, get your blood tested at least twice annually if you take a pharmaceutical drug for any length of time. 1. Antihistamines. 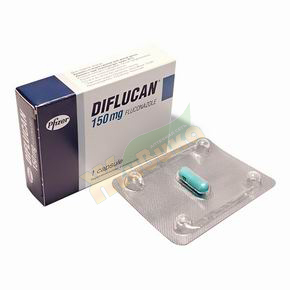 If you take an anti-histamine, (terfenadine (Seldane) or astemizole (Hismanal) then you should avoid Fluconazole. This combination may cause serious heart problems. 2. Anti-reflux drugs. Do not combine the anti-reflux drug cisapride (Propulsid) with any of the azole drugs; again, serious side effects like heart problems can occur. 3. Sedatives. Avoid the azole type drugs with the prescribed sedatives triazolam (Halcion) or midazolam (Versed) because this combination may lead to a seriously high level of sedation leading to death. 4. Blood thinners. Avoid Warfarin with the azole drugs; your blood may well clot more slowly leaving you more prone to a stroke, especially if your blood pressure is elevated. Get your doctor to monitor your clotting time if you are on this combination. 5. Oral hypoglycemic drugs. Take great care when combining an azole drug if you have diabetes and take an oral anti-hypoglycemic drug, you will need to carefully monitor and regulate your blood sugar levels otherwise severe hypoglycemia may result (low blood sugar). 6. HIV drugs. There are drug interactions that have been observed including with the azole drugs and HIV drugs, specifically efavirenz (Sustiva), nelfinavir (Viracept) and nevirapine (Viramune).